Want to reduce waste at home? 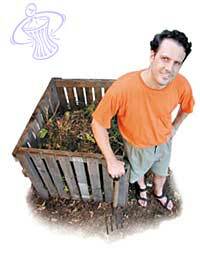 Get started backyard composting! Call Eureka Recycling at (651) 222-7678 to purchase the Earth Machine backyard composting bin at a discount. Find one used – twincitiesfreemarket.org or minneapolis.craigslist.org are good places to look. www.pca.state.mn.us/waste/recycling-and-composting – find everything from instructions on how to build a bin to great, illustrated backyard composting instructions and tips. www.extension.umn.edu/garden/yard-garden/soils/– lots of detailed, scientific information on a wide range of backyard composting topics. Sign up for the Community Council’s Organics Recycling Drop-off Site to start collecting and delivering a wide range of compostable items including freezer boxes, egg cartons, paper towels, napkins, meat and bones, dairy products, compostable tableware, pizza boxes too greasy for recycling pick-up, and much more. Read about our Organics Recycling Drop-off Site to learn more! Contact the Community Council office at 651-695-4000 or email mgcc@macgrove.org.